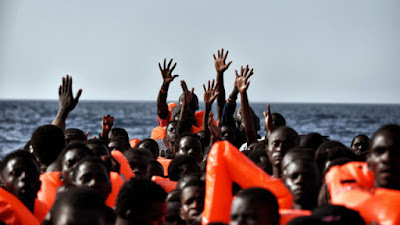 Spain’s maritime rescue service said Sunday it had rescued 408 migrants who were attempting the perilous crossing of the Mediterranean Sea from north Africa this weekend.The service said its rescue boats intercepted 115 migrants travelling in five small boats in the Strait of Gibraltar on Sunday, a day after it pulled 293 migrants from nine vessels. 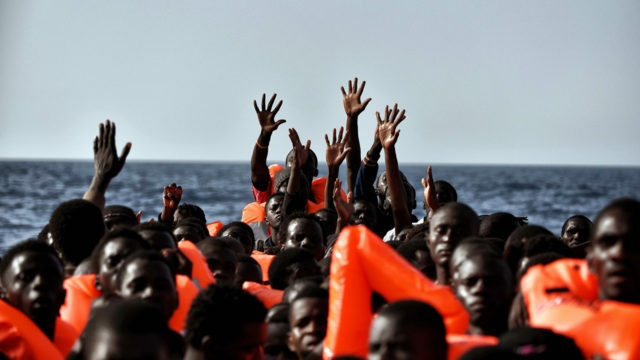 The maritime service is tracking three other boats carrying “a significant number of migrants” in the Alboran Sea east of the Strait of Gibraltar, a maritime rescue service spokesman told AFP. Many Africans undertaking the long route to Europe are choosing to avoid crossing danger-ridden Libya to get to Italy along the so-called central Mediterranean route, choosing instead to get there via Morocco and Spain. According to the International Organization for Migration, more than 22,400 people arrived in Spain by sea last year, nearly triple the number for 2016. Some 223 people died along the way.